For some of you, whether or not to delete Facebook is a daily struggle. One reason you might not have wiped out your Facebook account yet could be because of Messenger, which provides millions of people with different devices an easy way to communicate with each other. But here's a secret you might not know: you don't need to have a Facebook account to use Facebook's popular chat app. Just to be clear, though, you do need to keep your Facebook account if you want to hang on to your Messenger app as it stands. Deleting your Facebook erases your Messenger account and all of your chats, so if you don't want to lose that data, you can't go nuclear. However, that doesn't mean you can't use Messenger without Facebook. 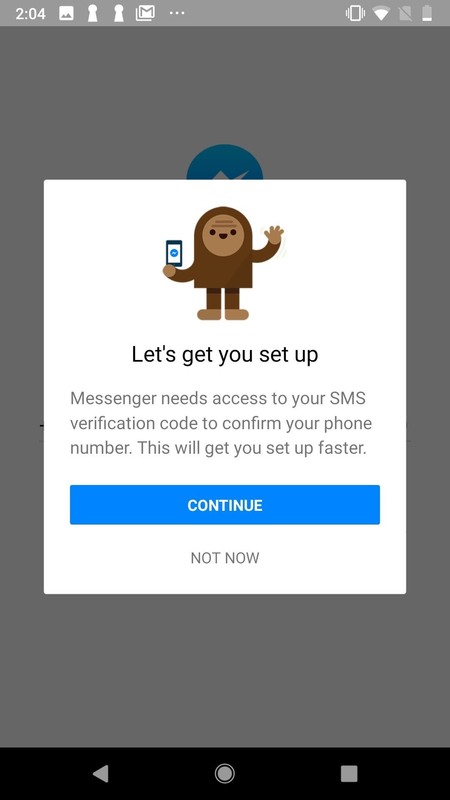 We'll show you how easy it is to set up a new Messenger account without a Facebook account, and afterward, we'll briefly talk about another option available to you if you want to keep the Messenger account you have right now that's connected to your Facebook. 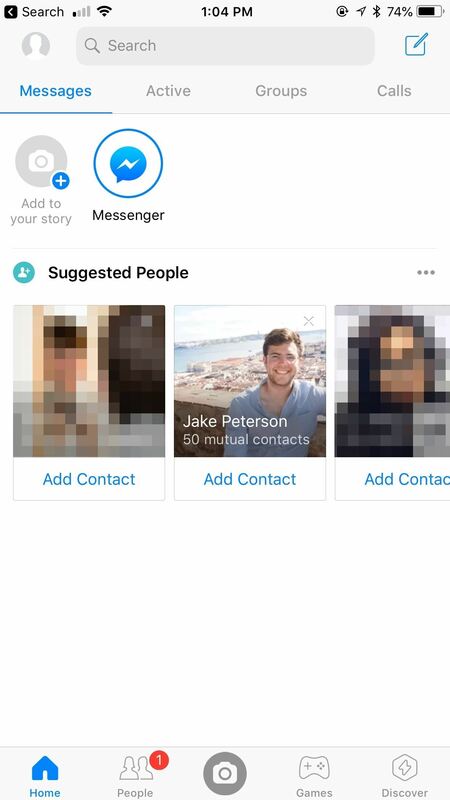 If you truly want to use Messenger without having any other connection to Facebook, you will have to make a new Messenger account. 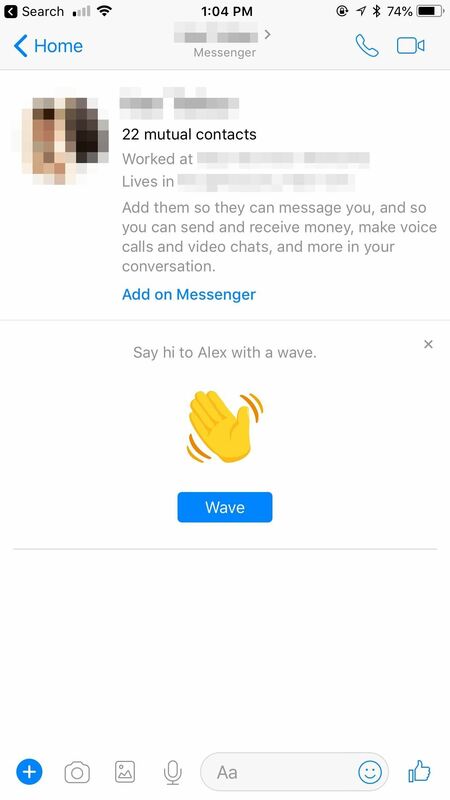 Starting a new Messenger account still lets you message people on Facebook, so you won't miss out there. You can delete your old Messenger account if you have one, but it isn't necessary for making a standalone Messenger account. If you have an existing Facebook account, though, you may hit some annoying hiccups. 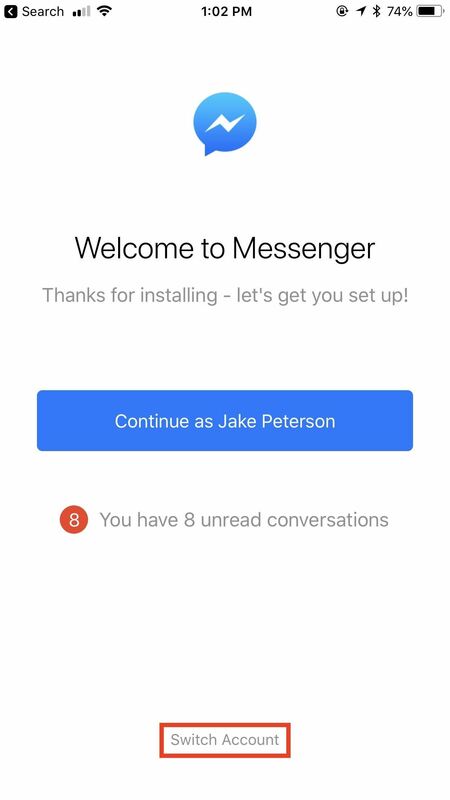 To begin, either install the Messenger app on your device if you don't already have it or delete and reinstall it (app links: Android | iOS), then open it. 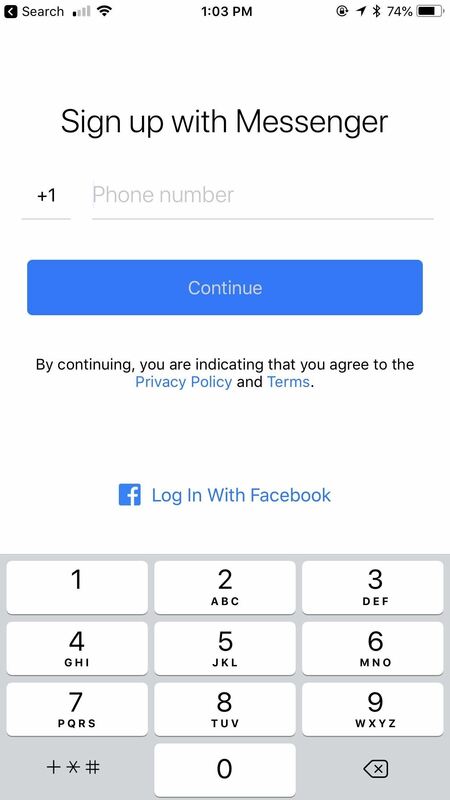 If you don't have a Facebook account on your device, you should just see options to either sign in with Facebook or "Continue with phone number." Select the latter. 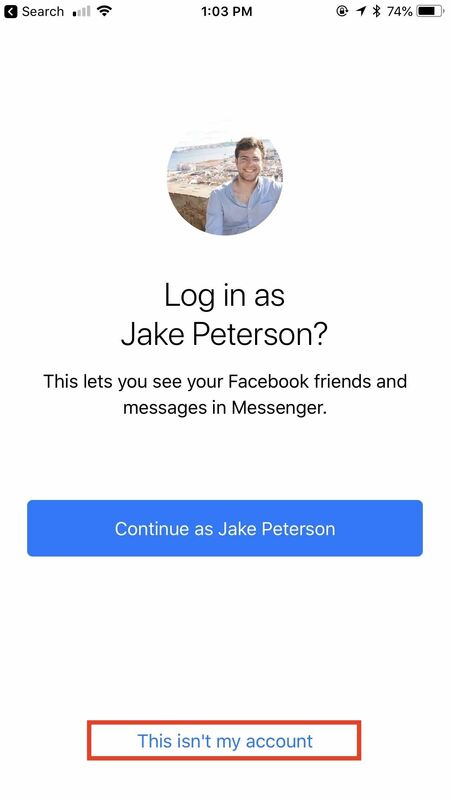 If you have a Facebook account on your device, Messenger will try to log you in using that, but you can avoid this by tapping "Switch Account" at the bottom of the display. Then, you can tap on "Continue with phone number." For those of you with iPhones, you'll see a prompt asking if you're sure you want to keep going. 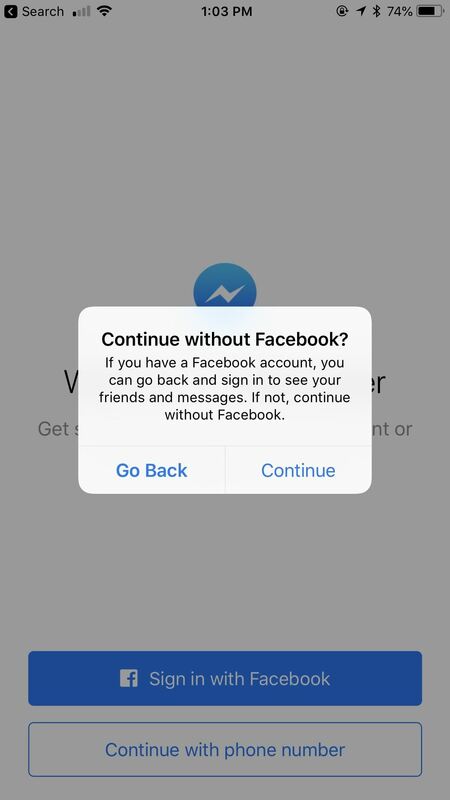 Tap "Continue" to bypass the Facebook login. This prompt won't appear on Android devices. Note: If you're logged into an Instagram account on your phone, you may also have the option to log into Messenger using that instead of a Facebook account or setting up a Messenger account with your phone number. On iOS, enter your phone number when prompted, then tap "Continue." If your number is tied to an existing Facebook account, Messenger will once again prompt you to log into that account. You can skip this by tapping "This isn't my account" at the bottom of the display. 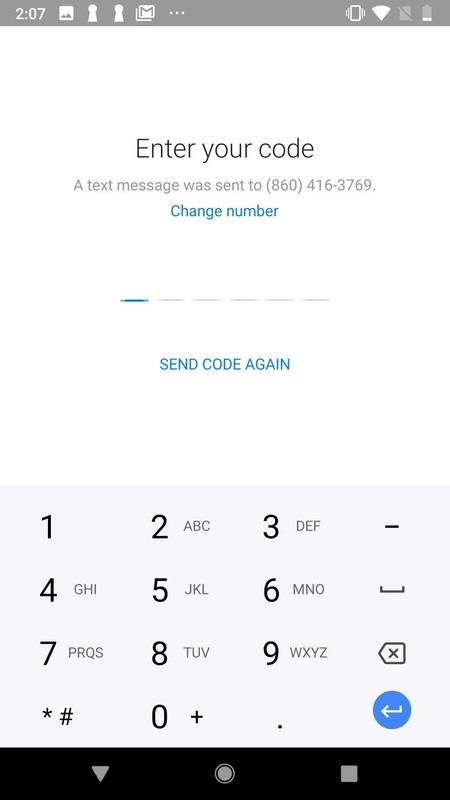 On Android, you'll need to give Messenger access to your verification code to confirm your phone number. Tap "Continue," then tap "Allow" on the following popup. Enter your phone number, tap "Continue," then enter the six-digit verification code sent to your phone via text. 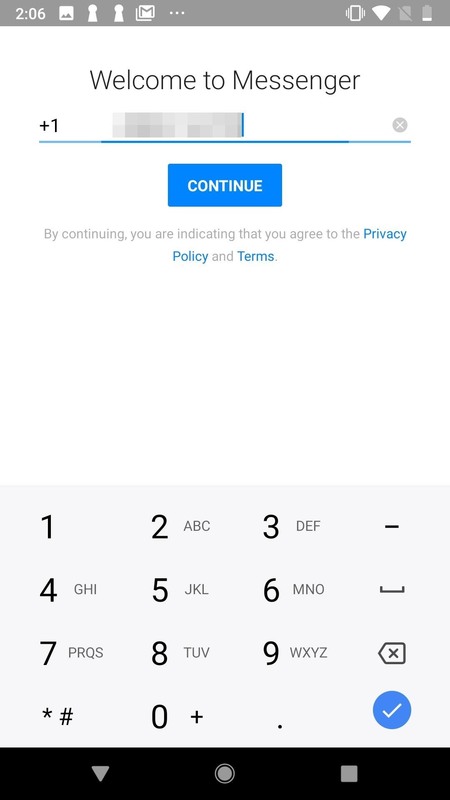 If your number is connected to an existing Facebook account, Messenger will ask if you want to sign into that account. Just tap "This Isn't My Account" to continue. 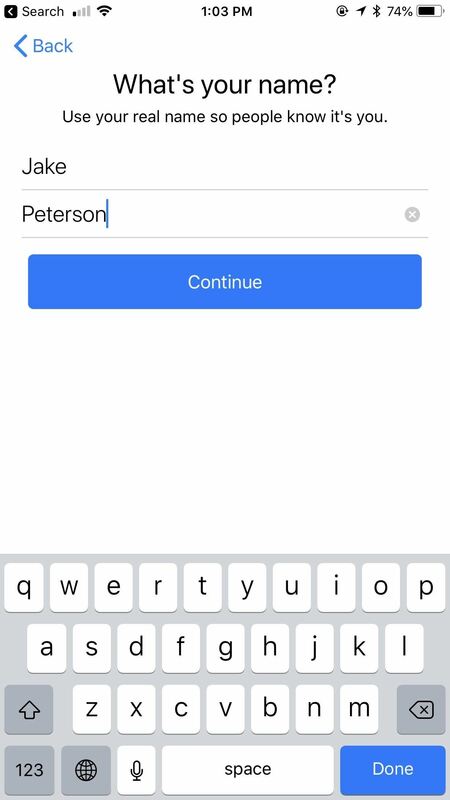 Next, enter your name, then tap "Continue." 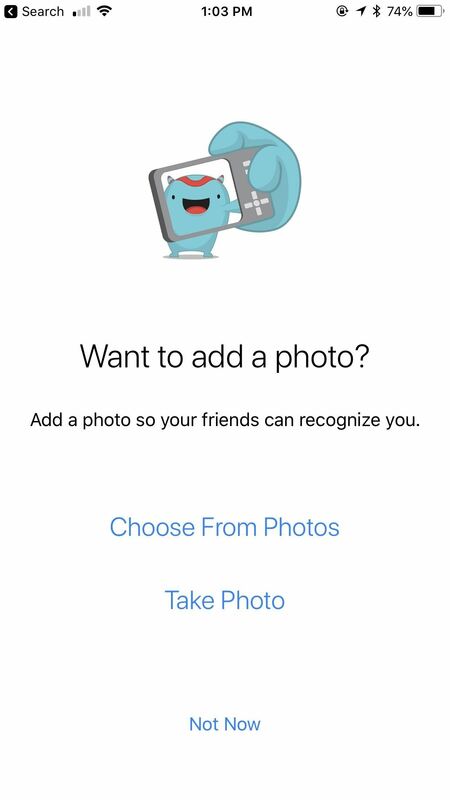 On the following page, you can set a profile picture either by tapping "Choose From Photos" or "Take Photo." If you'd like to take one later, tap "Not Now." 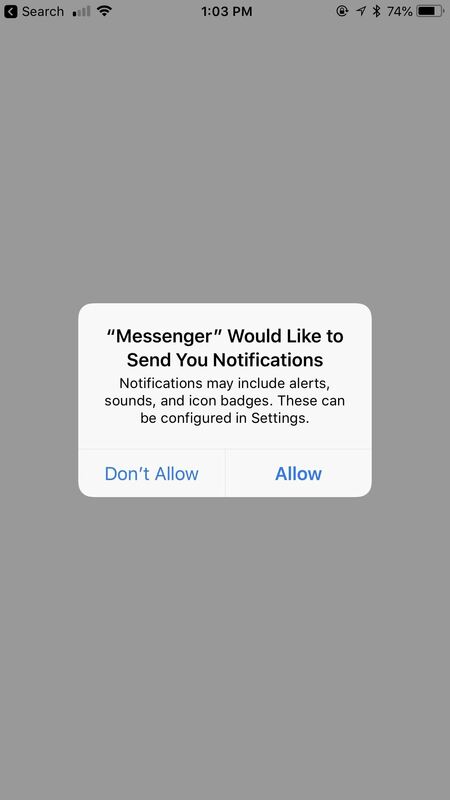 On iOS, Messenger will first ask you to enable notifications. If you want to know whenever you've received a message, you'll want to enable this. 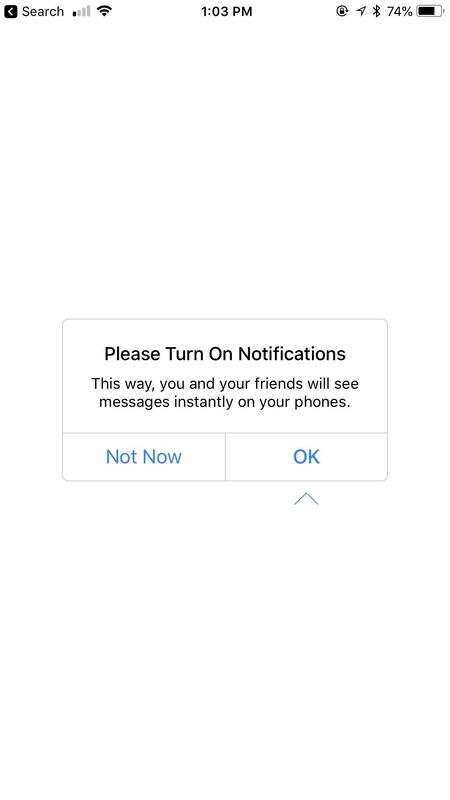 Tap "OK", then tap "Allow" on the following popup to turn on notifications. Of course, you can also tap "Not Now" to keep notifications disabled. 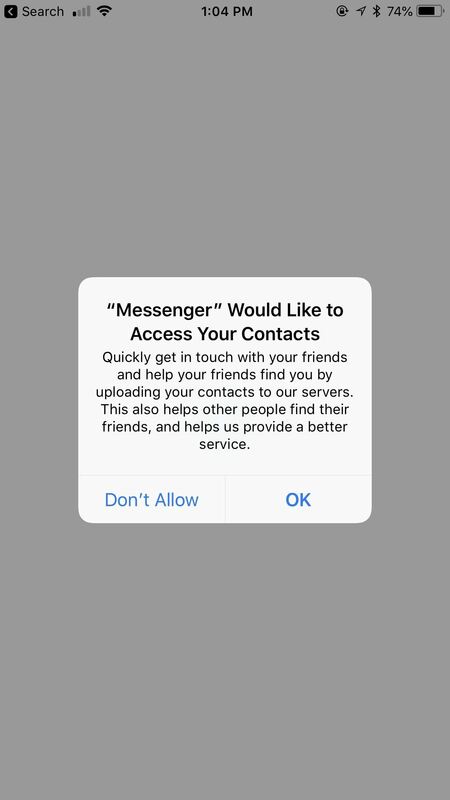 Next, Messenger will ask for access to your contacts, which makes it easy to find Facebook users you already know. 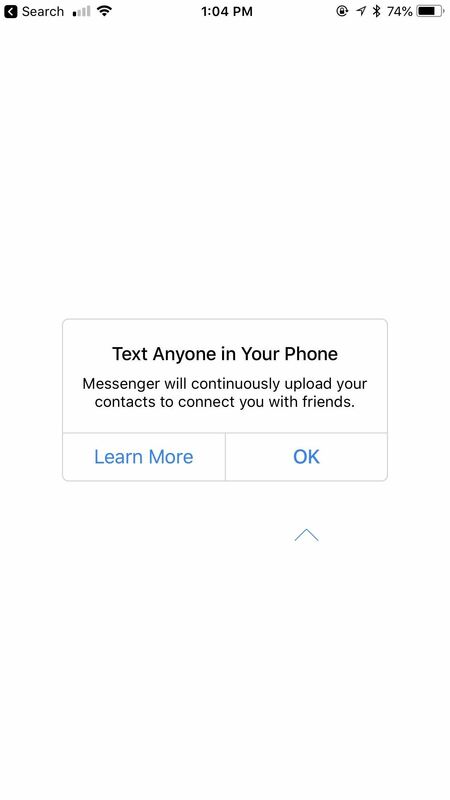 If you'd like to give Messenger permission to access your contacts, tap "OK" ("Turn On" on Android) then tap "OK" again on the following popup ("Allow" on Android). You can always tap "Don't Allow" if you change your mind. Congratulations! You've successfully created a Messenger account with no ties to a Facebook profile. If you linked your contacts, those with Facebook accounts will appear here. Otherwise, you can easily search for the names of any Facebook contacts you're missing. If you're sick of Facebook and already have a Messenger account connected to that, you can simply deactivate your Facebook account instead of deleting it. This will allow you to still use Messenger while you're Facebook account is on hold.